Discussion in 'Pipes' started by Yakcraz, Dec 10, 2018. So I cracked open this tin of C&D Oak Alley this morning & to my surprise there was a spot of mold on the top of the cake. I’ve had it a little over a week or two & it’s been sealed in the unopened tin, with the metal top still on & sealed, in the cabinet. The thermostat in the house stays on 68 & all my other tobacco is fine. I removed the little section of mold & put the rest of the cake in a mason jar. Guess I’ll keep an eye on it for a while, but I don’t know how it got mold to begin with. I read that this particular blend was part of their cellar series & gets better over time if you just store it for a while before opening & smoking. That was my intention, but I decided I really wanted to try it & if I liked it I’d buy more to put back for a while. I’m glad I went ahead & opened it now. Thoughts? CVAC085, ApeSmokes and Glassman like this. I've read that some folkes don't trust those tins; I haven't had an issue w/them. That being said, you really can't go wrong if you Mason/Ball jar all you smoke. mjones9630, Yakcraz and ApeSmokes like this. the humidity in your house is not the issue. obviously this tin held some overmoist tobacco when it was sealed at the factory. Let it dry a bit before sealing it in a jar. I would contact the folks who made this and give them any info that would help identify the lot, and maybe they will send you another tin. good thing you did not wait a year to open this, it could have been nasty. CVAC085, mjones9630, Yakcraz and 4 others like this. CVAC085, Yakcraz and Glassman like this. 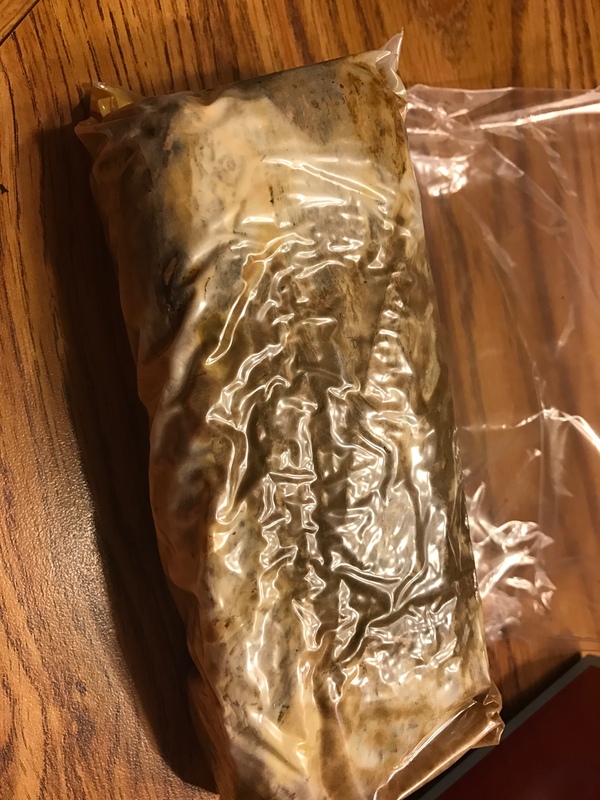 C&D still has a mold issue. I have a bunch of their tins and it makes me want to stop buying from them. I am worried about aging them only to find it ruined. I have a variety of cellar series. One for now and one to age. I don't trust them anymore. It was a problem a few years ago and in the last month this is probably the 20th post I've seen with mold in a tin from C&D. thedismaltrade, sweemzander, CVAC085 and 1 other person like this. Thanks for the responses all. I emailed the company that I ordered it from & emailed them the pics. They offered to replace the tin or credit it to my account. All they asked for was the date on the tin for their records. Pretty good customer service!!! I’ll dry what I salvaged of this out a little & leave it in a jar to observe & see how it progresses. It was only that small spot of mold on it so I may be able to save the rest. We’ll see!!! K Williams, Jody, sweemzander and 3 others like this. Remove the chunk with mold and jar the rest. As Jake said above, not uncommon with C&D plugs in tins in the past few years. Also as Dan mentioned, sugar crystals can develop on VA flakes, it's a good thing. Alwayslit, sweemzander, CVAC085 and 3 others like this. K Williams and CVAC085 like this. I'm wondering if microwave the tobacco might kill any remaining spores. Welp, I removed the original mold spot, let it sit out to dry out some overnight, jared it, & let it rest for a bit. Checked it today. More mold. I guess I’ll be chunking this. Didn’t even get to try it. Oh well, may revisit it down the road. Oak Alley seems to be susceptible to mold, I've had a tin with it and I've heard of others. Did you contact C&D or Laudisi for a replacement? K Williams, CVAC085 and Yakcraz like this. Nope, I emailed the retailer I bought it from with the pic. They replied quickly & offered to send me another tin of it, something of equal value, or refund me. I asked them to send me a tin of Jolly Old St Nick. They got it shipped out the next day. Pretty good customer service. All they asked for was the date on the tin. K Williams, ATL827, CVAC085 and 1 other person like this.
" All they asked for was the date on the tin." 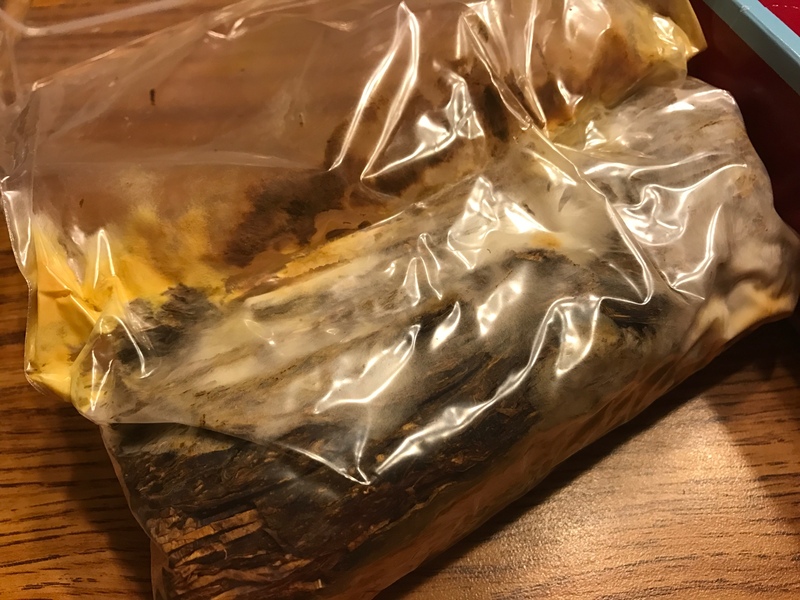 before you toss it, open it and spread the tobacco out so it can really dry out. then back into the jar. It's a given the spores are everywhere, but cannot grow if it is too dry. Also you can refrigerate it to prevent the mold returning. CVAC085, Yakcraz and ak2000 like this. Ok I’ll give this a shot & see what happens. It’s turning into a little science experiment now lol. Tom, how long would you let it lay out? then give it a squeeze and see,or put it in a ziplock w/your Hydrometer for a few hours. Aight I’ll try that. What Rh should it read? I’ve never been specific about it with pipe tobacco. Just kept it in a jar at room temp & squished it & made sure it spread back out ok before packing it in the pipe. CVAC085 and Yakcraz like this.